A southern noir thriller about the collision of race and justice in small town America. When a racially-motivated double murder stirs up a hornet's nest of tension in the desolate town of Lark, TX (pop. 178), a black Texas ranger is called upon to investigate. Attica Locke pens a poignant love letter to the lazy red-dirt roads and Piney Woods that serve as a backdrop to a noir thriller as murky as the bayous and bloodlines that thread through the region ... Locke stitches a tale of murder and bloodlust, forbidden love, family ties and a violent racial history that bleed into the narrative of East Texas like the mournful moan of a Lightnin' Hopkins song ... just when you think this race-centered saga will play out like most others, Locke shows off her chops as a superb storyteller who spent three years in the writers' room of Empire. She is adept at crafting characters who don't easily fit the archetypes of good and evil, but exist in the thick grayness of humanness, the knotty demands of loyalties and the baseness of survival. Locke holds up the mirror of the racial debate in America and shows us how the light bends and fractures what is right, wrong and what simply is the way it is — but perhaps not as it should be. A rich sense of place and relentless feeling of dread permeate Attica Locke’s heartbreakingly resonant new novel about race and justice in America ... an emotionally dense and intricately detailed thriller, roiling with conflicting emotions steeped in this nation’s troubled past and present ... Bluebird, Bluebird is no simple morality tale. Far from it. 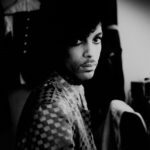 It rises above 'left and right' and 'black and white' and follows the threads that inevitably bind us together, even as we rip them apart. 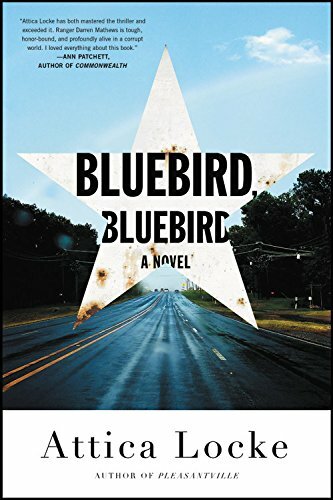 A native of Houston, [Locke] knows her territory, and while every element of the story works, the dialogue is fantastic ... Bluebird, Bluebird is Southern noir at its best, an intricately plotted, character-driven story with a solid twist at the end. There's enough going on—Aryan Brotherhood ties, illicit sexual attraction, and tons of shared family history—to keep readers riveted even if they think they’ve figured everything out. I bet two peach fried pies they have not; Locke is deft at misdirection. What did you think of Bluebird, Bluebird?